These beautiful trailing Geraniums have a very neat habit and small leaves, so they won’t overwhelm your mixed baskets. The colours are a glorious mix too. For the best results, don’t forget to deadhead regularly. Very pretty mixture of pelargoniums. 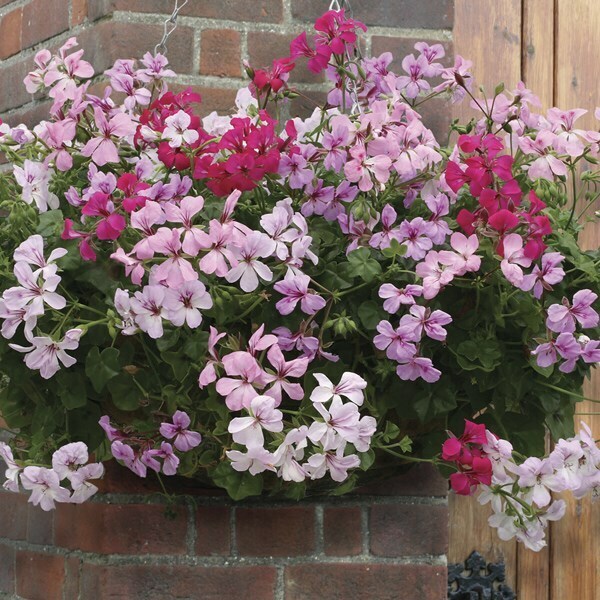 Ideal for hanging baskets and lasted thru to November- a great purchase. Can also be overwintered in a greenhouse.